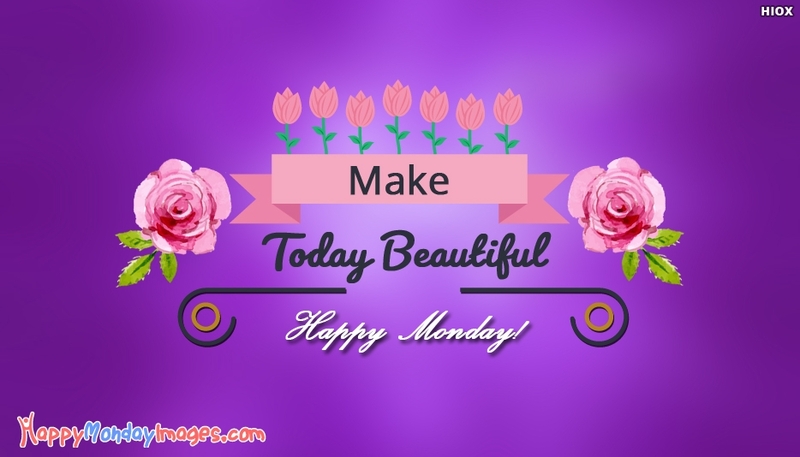 Make the first start of the week most beautiful one to you and your beloved ones by sharing this "Make Today Beautiful. Happy Monday!" ecard. Spread the smile and happiness to everyone by sharing this Happy Monday greetings. Download and make use of this colorful ecard for free.